We often think of our Lenten journey and discipline as internal. It is a work of self-improvement and a very personal path to God. That doesn’t have to be the case or one can incorporate quiet time in meditation and prayer with a mindfulness of one’s surroundings. 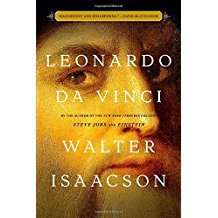 I am reading Isaacson’s biography of Leonardo Da Vinci and I am constantly amazed at Leonardo’s curiosity, and how he used his discoveries to complement his work. For example his curiosity as to why the sky was blue eventually led to his use of blue in his paintings to all of our wondrous delight. One doesn’t have to be a genius to be amazed by life and the world. Every time we gaze at the sky, or the ocean, or people walking on the street, or a butterfly, or just anything else that is part of God’s majesty, it brings questions without answers, and those answers bring new questions. Many of those can’t be answered by Alexa or Google. Lent is not only a time of reflection and service, it is a time for discovery — about oneself and the world.